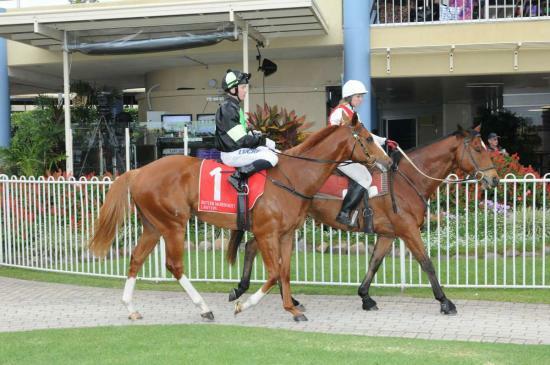 The Steve O’Dea-trained Cool Sequence, owned by Proven Thoroughbreds, saluted as an odds-on favourite at the Sunshine Coast on Sunday. Stepping out in a class one event after a game first-up performance at the same track last month, Cool Sequence led at a strong clip under Paul Hammersley but still found enough in the straight to win, the second of his six-start career. The four-year-old’s form from last campaign was indicative of a progressive horse and his competitive streak is likely to take him to metropolitan grade this preparation. Cool Sequence was Proven Thoroughbreds’ 17th winner for the calendar year. The son of Sequalo was a $36,000 yearling purchase at the 2014 Gold Coast March Yearling Sale.